The Chinese cone 6 is starting to bend. Jack Doherty, an Irish potter from Mousehole, Cornwall, England, puts on a welder’s mask and adds a fourth spray of soda to the kiln. He motions for Hong Yang, the studio manager, to turn down the gas. Jack doesn’t speak Chinese and the kiln crew doesn’t speak English, but this hasn’t stopped them from building a soda kiln from scratch or troubleshooting issues in the midst of a firing. Jack and Hong Yang study the test rings, each one removed after a spray of soda. They communicate their satisfaction with hand gestures and a smile. A young woman named Sunny does her best to translate slip recipes and requests for various clays. Jack makes a few notes in his black leather-bound notebook and then, ten minutes later, he is back at the wheel, trimming a vessel he threw that morning. Jack’s one-month residency at Fuping Pottery Village is coming to an end. He is here as the recipient of the Janet Mansfield Memorial Award, which was established by the International Ceramic Magazine Editors Association. In addition to a cash prize, Jack was invited to work in China and demonstrate his soda-firing process. The soda kiln was built to his specifications, but a few finishing touches were tailored and jerry-rigged as they went along. The results varied—the first firing attempt blew out the bricked-up door, other firings stalled before reaching the right temperature. Another time carbonate soda (instead of bicarbonate soda) was sprayed into the kiln. Safety gear was fashioned from scrap materials, everyone coming up with modifications and suggestions until a proper order could be placed. Each time the crew and Jack were quick to make adjustments and, within hours or even minutes, the kiln would be roaring once again. Fuping is in the center of Shaanxi province, about an hour away from X’ian and China’s terracotta soldiers. Farmers drive old trucks alongside luxury cars, chickens and dogs wander the dusty roads. While it is clear this rural community is undergoing some rapid growth—new developments and initiatives seem to be everywhere—most potters would find such an environment challenging or even overwhelming. Jack, however, has embraced his time here. In four weeks he has made 136 pots and led five soda firings. His vessels are known for their raw, elemental simplicity—one clay, one slip, one firing—but in China, his vocabulary of familiar materials is pushed to adapt to the environment, just like him. 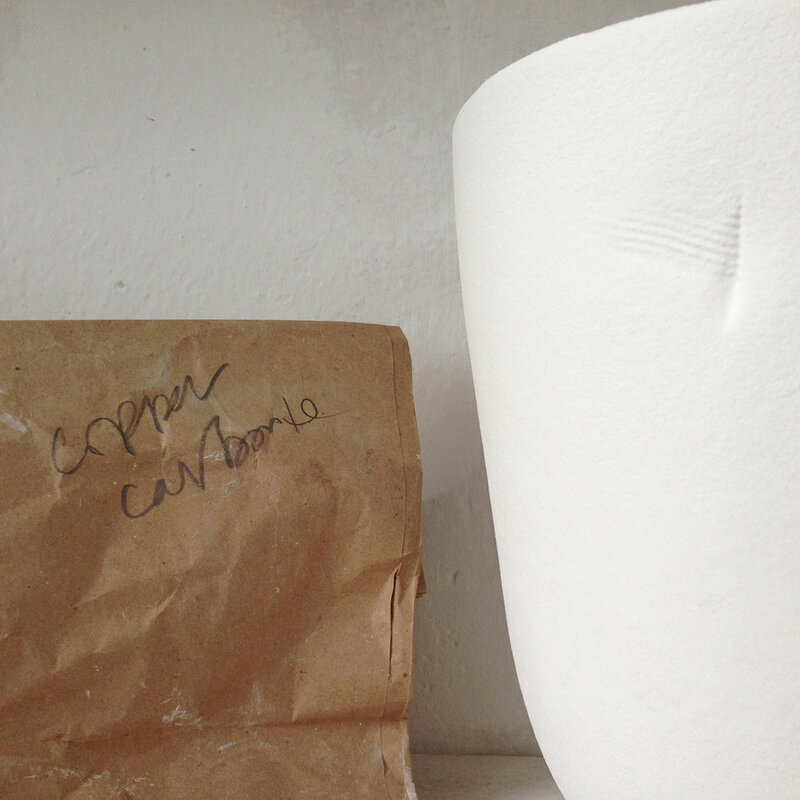 At home in Cornwall, Jack is used to keeping his own company with the kiln. In Fuping, it’s a group affair. The studio crew, the host Mr. Xu and his sons Guo Liang and Guo Qing, the visiting Ukrainian artists, ICMEA secretary and founder of the exchange program, 83-year old Dr. I-Chi Hsu, walk by the kiln several times in anticipation. Jack, with practiced patience, glances at the clock and digital pyrometer. Then he turns back to his work, unaffected, while he waits. When the pieces emerge the next day, there are murmurs of admiration and surprise. There are thumbs-ups and cries of Tài bàngle! (“Excellent!”). Jack smiles as he palms a cup, scraping off the remaining wadding and making mental notes about what worked and what didn’t. At first glance, the forms may look similar to the ones made at home, but they’re undoubtedly different. They’ve taken on the hues and casts of this country. 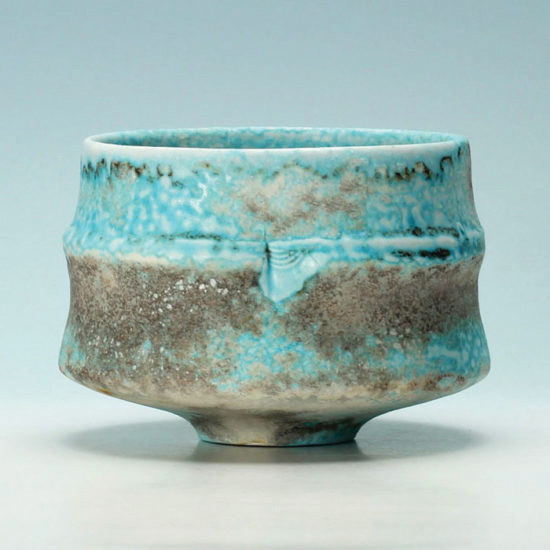 He made his first series as part of a moon jar exhibition for the Korean Cultural Center in London in 2013. At the time his daughter, Ellen, a photographer in Africa, was dying. When she passed, he stopped making the moon keepers. “There was a correlation between death and the pots for me. They were interconnected.” In Fuping, the form found its way back to him. While he explains that they are still very much a work in process, both the thinking and the making, the Fuping keepers are different from what he’s done before. He used to throw them on the wheel and then alter the form, but now he’s throwing some and hand building others. He’s made use of the clays given him, including a traditional advent white porcelain as well as a creamier, almost ecru porcelain, but it’s a groggy, Chinese red clay that makes him work. “The brittle porcelain demanded clarity,” he says. “But the red clay demanded strength and energy. It literally left me bleeding.” Once fired, the rough red clay yielded a weight and coloring reminiscent of ancient bronze figurines softened by hardship and time. Later, at his exhibition at the Dao Art Space in Xi’an at the conclusion of his residency, the Chinese buyers will gravitate to these forms as well. Walking through the gallery in the minutes before his show opens, Jack is unprepared for the large posters of him that canvass the walls, the brilliant gallery lights spotlighting his vessels placed on plinths and shelves. He hadn’t known what to expect and is a bit in awe himself. “It was a shock,” he admits. “To see the work in this way seemed like such a distant possibility, especially when I think back to that first day when the kiln blew up.” And yet to understand his journey, it seems nothing less than appropriate. The Chinese buyers are studying his work, and several pots already have stickers on the bottom to indicate they’ve been sold. Each piece exudes a quiet, solid confidence that suggests a life much longer than the four weeks in which they were created. They bear his signature divot and slash, the surfaces reflecting the tumultuous heat and atmosphere of the kiln which produced an elemental, almost ancient feel. They have captured the time and feeling of this place, a country where ceramics has had a long life. It is no easy feat. His hosts are equally enthralled with Jack’s presence and work. The experience has inspired them to launch an biannual soda-firing symposium, complete with workshops and residencies. They have proposed a new ceramic museum dedicated to soda-fired work. “I came to Fuping at just the right moment in my career,” he says. “In many ways it was like starting again—I had to dig very deep sometimes.” His mantra—do more with less—was put into practice in this place. In fact, the place often demanded it. And Jack, as he has done so many times before, complied. Darien Gee lives on the Big Island of Hawaii. She is an award-winning author whose books have been published in 14 countries, including Germany with Blanvalet/Verlagsgruppe Random House.